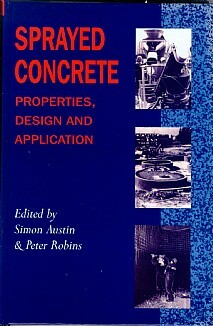 An authoritative and comprehensive treatment covering design, installation and performance of sprayed concrete. The three sections deal with materials technology, design and installation and applications. The international team of experienced authors comprises consultants, contractors, materials technologists and manufacturers, and equipment suppliers. The book provides essential information for correct design, specification and construction. Practising and consulting engineers, contractors, and academics in civil and structural engineering, concrete and materials technology. Reference for students.